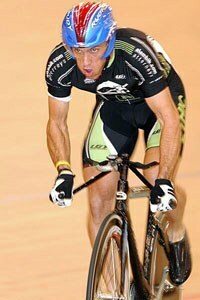 Steve Hill is a former two-time Elite National Champion cyclist in the one kilometer time trial, as well as a 3-time World Masters Track Cycling Champion in the time trial and sprint events. Unlike most cyclists who have only seen a gym as they ride by, he has well over 15 years of experience in weightlifting. He currently operates Sprint Rx, specializing in increasing the strength and power of cyclists and is a member of the Starting Strength Seminars coaching staff. He has a B.S. in Mechanical Engineering from Southern Polytechnic State University in Marietta, GA.